Two local Khmer men are riding their bicycles while flashing authentic big smiles in this wonderful candid moment in Battambang, Cambodia. One of the reasons I love Cambodia is because of the warm and welcoming locals. In my opinion, one of the best travel modes of transportation is to rent a bicycle in Cambodia to get around the city. In a sleepy city like Battambang you could ride for miles on end without feeling bored. This is a travel image from Battambang, Cambodia. 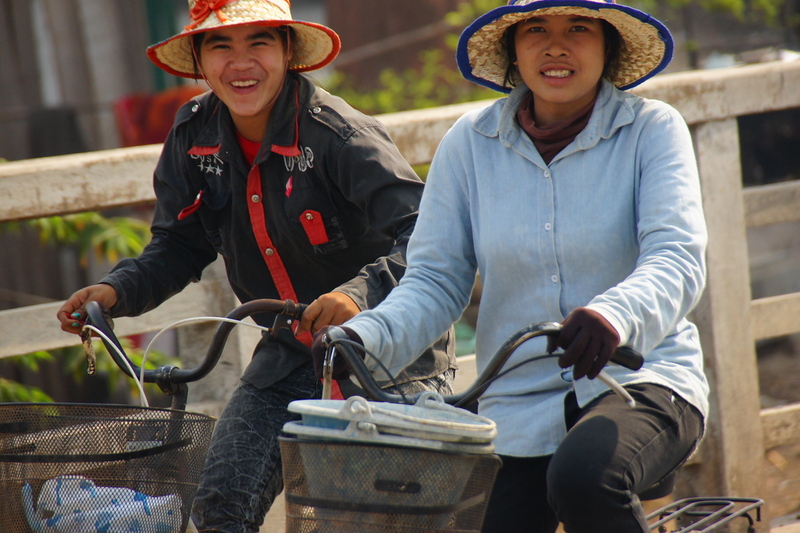 To view more of my extensive gallery from Battambang by clicking on the smiling faces.